Maria R. Wilson | Total Clarity Wealth Management, Inc.
Maria Wilson has been in the financial services industry since 1984, servicing individuals and small business owners. She has been a Certified Financial Planner® since 1995, a Certified Retirement Counselor since 2000 and an accredited Investment Fiduciary ® since 2016. She is an Investment Advisory Associate with LPL Financial. Ms. Wilson provides Financial Planning, full-service brokerage, Life and Health insurance (including Long Term Care) and Managed Accounts. She has a background in teaching and uses that experience to help her clients develop goals and investment skills to enhance their lives and those people and issues they care about. Maria works with a full range of clients who may be saving for retirement and/or college, just beginning a career, just ending their working career, establishing estate plans or experiencing other life changing events such as marriage, divorce, the birth or adoption of a child or grandchild, establishing, expanding or selling a business. She has given numerous seminars in and around the Naperville area on investments, long term care insurance and retirement issues, such as the Naperville Area Chamber of Commerce and North Central College. Ms. Wilson recently celebrated her thirtieth membership anniversary with the Naperville Area Chamber of Commerce and is past chair and founding member of the Small Business Council of the Chamber. Maria is also on the board of Naperville based HEAR US, a national advocacy group for the rights of homeless children and youth, and a long time volunteer at Hesed House. She is also a past president and current board member of the Naperville Noon Lions Club, as well as a very active member of St. Timothy Lutheran Church. Maria has a B.A. 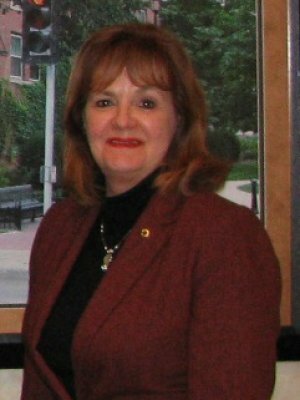 degree from Lamar University in Beaumont, Texas, and has lived in Naperville with her husband, Bill, since 1978. She enjoys singing, traveling and spending time with her grandsons. Maria Wilson is a registered representative of LPL Financial and offers securities solely through LPL Financial, member FINRA/SIPC, doing business as American Capital Management. Maria provides investment advisory services through Total Clarity Wealth Management, an SEC registered investment advisor (or State RIA as the case may be), doing business as American Capital Management. Neither Total Clarity Wealth Management nor American Capital Management are affiliates of LPL Financial.